We have been searching all around the world for solutions to the technological challenges proposed by our partners (Pescapuerta, Mascato, Opromar and Orpagu) and we have received hundreds of applications to the program from companies working in the fishing sector as well as other fields as viticulture, the pharmaceutical industry or the meat sector. Seven companies have been chosen to participate in this first edition of the program. 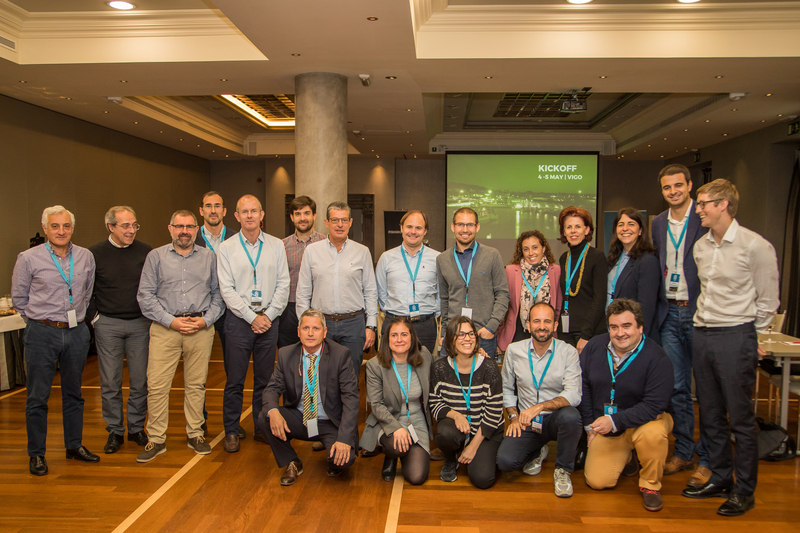 The kickoff took place in Vigo on the 4th and 5th of May. Two days of work in which we put together the technologies selected with the needs of our corporates. Fishing Accelerator partners and the representatives of the chosen companies jointly defined the next steps to take in the pilot projects, by combining the objectives of both parties. AVANZARE: Nanomaterials and high-performance solutions based on nanotechnology. Experts in the development, production and commercialization of complex additives. BOUND4BLUE. They have designed an intelligent rigid sail system as a complementary and clean propulsion formula for merchant and fishing vessels. IMPA CT VISION: Hyperspectral technology that provides information about the quality and characteristics of food using image recognition and predictive learning. 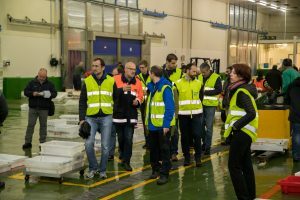 LIZOTTE MACHI NE VISION: They develop and manufacture custom-built quality control, grading and sorting equipment for the global food processing industry. NATURAL MACHI NES: Kitchen appliance based on 3D printing technology. Open capsules system. The consumer places fresh ingredients in Foodini. PALINOX: They are dedicated to the research, design and manufacture of machinery for the sectors derived from fishing industry. PROVISUR, AM2C ®: World leader in separation, deboning and denervation with 3 brands: AM2C-BEEHIVE-BF and several other technologies for fish, meat, fruits and vegetables. The relationships between the Accelerator partners and the selected companies can lead to different ways of collaboration: acquisition of the technology, one-time collaboration for a specific project or a joint venture. This kind of link between the parties is one of the features that makes Fishing Accelerator so special, since the relationship that will be established between the two of them is open to the characteristics and needs of each one of the projects. Fishing Accelerator continues putting its efforts so the pilots move forward. We will present the results in the Demo Day next October in Vigo. In the same way, we continue to receive applications as we are working already on the basis of the second edition of the program which will be presented in early 2018.